No pictures found for plate number HPZ1344 in New York, United States. click here to add a picture. No videos found for plate number HPZ1344 in New York, United States. click here to add a video. 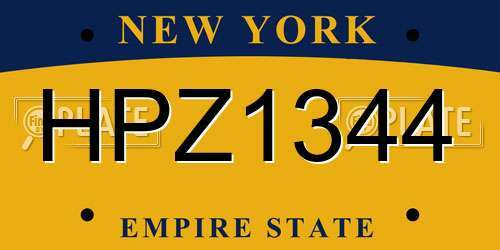 No owners found for plate number HPZ1344 in New York, United States. click here to add an owner. No related websites found for plate number HPZ1344 in New York, United States. click here to add a related website. American Honda Motor Company, Inc.'s (Honda) is conducting a limited regional recall for certain model year 2003-2005 Accord, Civic, CR-V, Pilot and Acura MDX, model year 2003-2004 Odyssey and Element, and model year 2005 Acura RL, and 2006 Honda Ridgeline vehicles originally sold, or ever registered in California, and equipped with Takata-brand air bag inflators. Upon deployment of the passenger side frontal air bag, excessive internal pressure may cause the inflator to rupture. 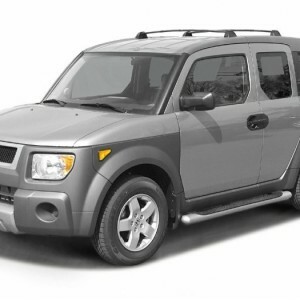 HONDA IS RECALLING CERTAIN MODEL YEAR 2003 HONDA ACCORD, CIVIC TWO AND FOUR DOOR, AND MODEL YEAR 2003-2004 HONDA ELEMENT VEHICLES. THE INTERLOCK LEVER OF THE IGNITION SWITCH MAY UNEXPECTEDLY DEFORM, WHICH CAN ALLOW THE INTERLOCK FUNCTION OF A VEHICLE WITH AN AUTOMATIC TRANSMISSION TO BE DEFEATED. DEALERS WILL REMOVE THE ORIGINAL INTERLOCK PIN AND LEVER WITHIN THE IGNITION SWITCH, AND REPLACE THEM WITH NEW, DESIGNED COMPONENTS. THIS SERVICE WILL BE PERFORMED FREE OF CHARGE. THE SAFETY RECALL BEGAN ON OCTOBER 7, 2010. OWNERS MAY CONTACT HONDA AT 1-800-999-1009. HONDA SAFETY RECALL NO. R44.OWNERS MAY ALSO CONTACT THE NATIONAL HIGHWAY TRAFFIC SAFETY ADMINISTRATION'S VEHICLE SAFETY HOTLINE AT 1-888-327-4236 (TTY 1-800-424-9153), OR GO TO <A HREF=HTTP://WWW.SAFERCAR.GOV>HTTP://WWW.SAFERCAR.GOV</A> .